VIA, or Vision in Action, is an annual CTL event for student-led projects to shine. 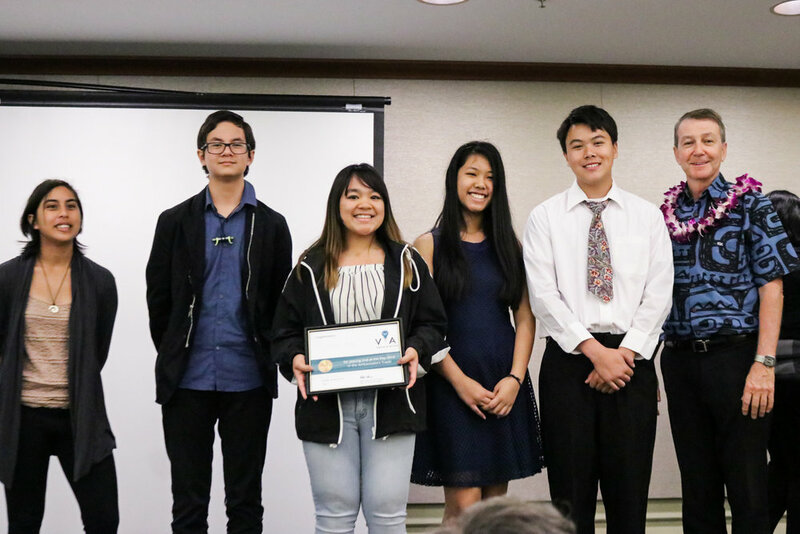 VIA provides a platform for students to be empowered to make a difference now in Hawaii. Over the past few years, CTL has hosted over 100+ projects as young leaders move from idea to impact. Just as “via” means en route to a destination, CTL believes that students can inspire change when they have vision that’s in action. Below are the Top 16 projects that emerged from the Ambassadors and Fellows Program and presented at VIA on January 20, 2018. Interested in learning more about a project or how you can help? Get in touch at ctl@ctlhawaii.org. We are determined to secure the prosperity of our country and state by ensuring that all opinions are heard and the art of civic discussion is not lost. We want to bring Hawaii’s kupuna back into the community by educating them on technology in order to end social isolation. Our vision is to promote sustainable and responsible e-waste management in Hawaii, and to educate the community about the negative impacts of mishandling e-waste in the environment. We aim to host a mental health event at a park in which we raise awareness of the stigma surrounding mental health and try to break down the barriers that society has created. Because art is shown to have a positive impact on stress and other mental health related issues, we plan on bringing in Spoken Word Poets to inspire others on the topic and inviting guests to contribute to a mural that will symbolize our joint dedication to the goal. 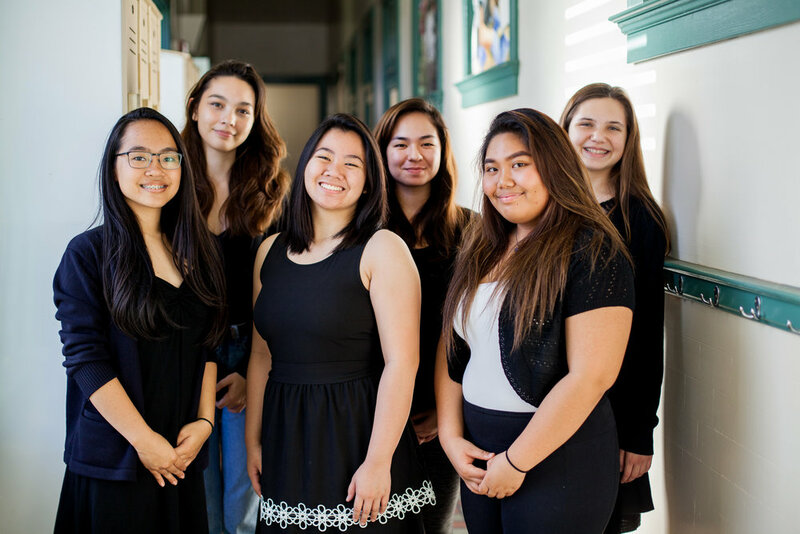 The Lokahi Project started four years ago by McKinley students who wanted to fight against loneliness in the elderly population. Our goal is to end loneliness in elders and our vision is to help elders be on the pursuit of happiness by being their source of happiness. We want to make the gap between our special needs students and their fellow classmates smaller by providing students with a spring bash to celebrate the involvement of special needs students. Our project aims to increase the amount of recycling on campus by using fun and creative recycling bins, thus creating less trash around school, improving school pride, and benefiting the community. To recognize students of all sports despite their popularity or success through a school documentary, thus encouraging more students to become involved in sports, improve wellness, and strengthen relationships. Our project is about raising teacher and educator pay, and overall improving the lives and appreciation for teachers. We intend on visiting different elementary schools in order to educate students in hopes to encourage a positive change, through short films that also relate to school standards. 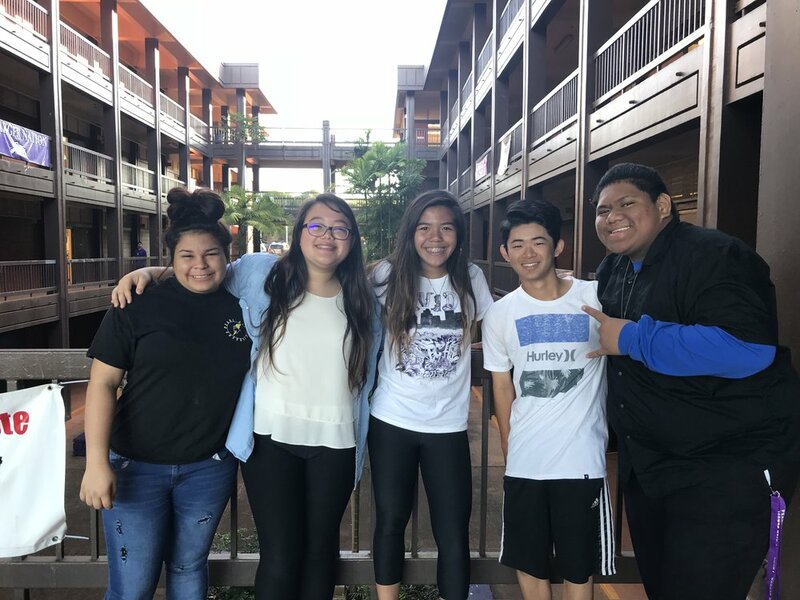 This multi-year project is about restoring Lanai’s graveyard by upkeeping the grounds, cataloging names on a public memorial display, and sharing our heritage’s stories on a student-run website. The Fire Alarm Project was created in response to the devastating Marco Polo fire that occurred on July 14, 2017. Our vision is to prevent another loss. We are working to create a network to connect isolated seniors with volunteers to install smoke alarms in their homes. Our project is to show individuals in Hawaii how to grow their own food and sustain the plants they grow to prepare residents in the case Hawaii has a state emergency. As Pahoa unites, our community becomes an ohana. There have been many things that have happened to our community which has damaged school morale (lava flow and hurricane that hit us a few years ago, which separated our school, and being known as the most dangerous school in Hawaii). We believe this potluck will help in restoring unity and morale in our community. Feminism can be a scary topic, but we want to dispel negative/false associations with the movement. Our goal is to help our audience better understand the benefits and goals of what feminism means. Our school is constantly misunderstood. 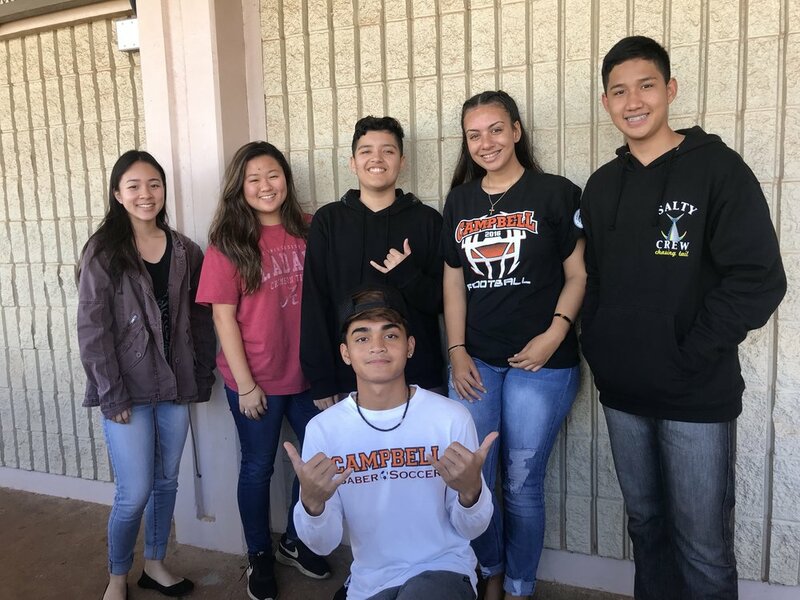 Wai'anae High School's campus has fist fights on the regular, so we want to spread awareness about anti-violence by creating a #NofightUnite campaign and change stereotypes about our school.